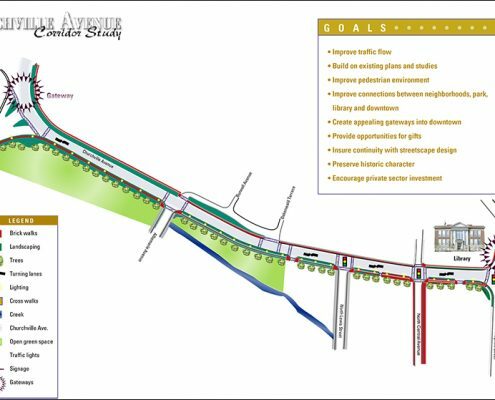 Working with representatives from the Staunton Downtown Development Association, the City Planning Department, Historic Staunton Foundation, and community stakeholders, Frazier Associates developed a preliminary plan to enhance this corridor. 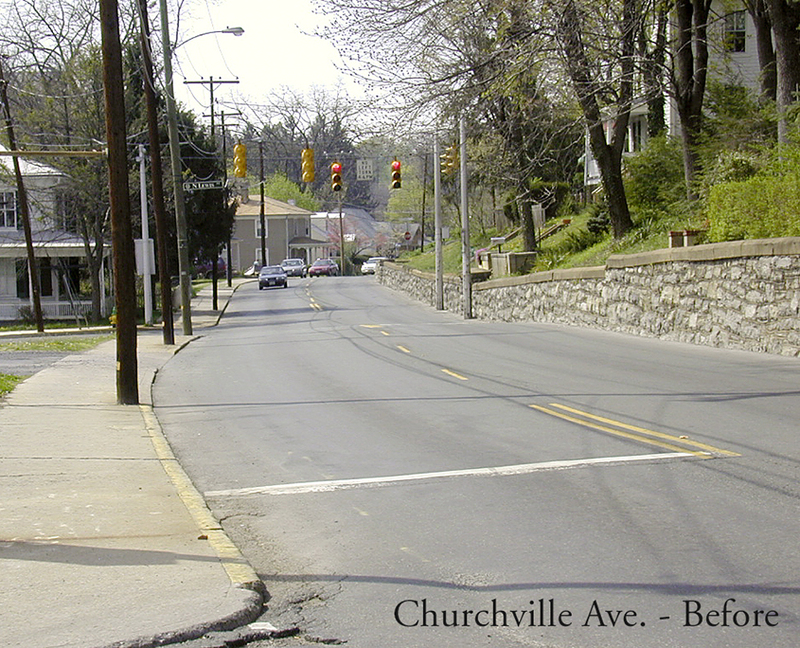 Churchville Avenue is a high-traffic and connection corridor on the City’s northern end of downtown. 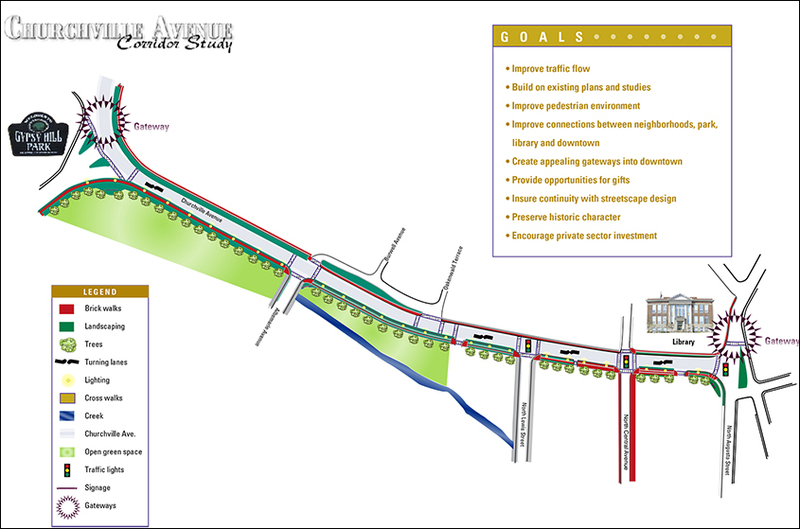 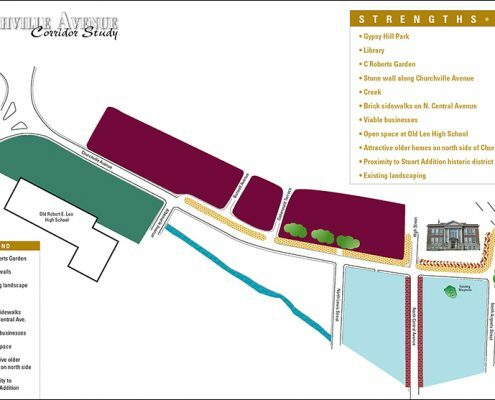 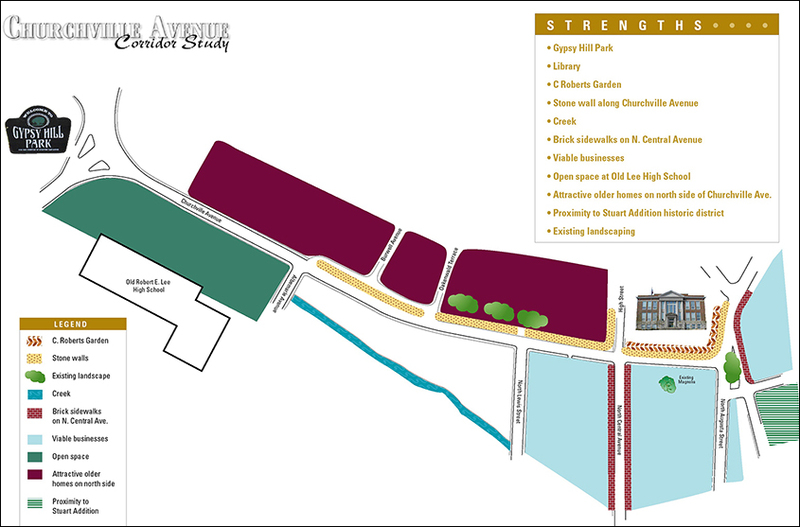 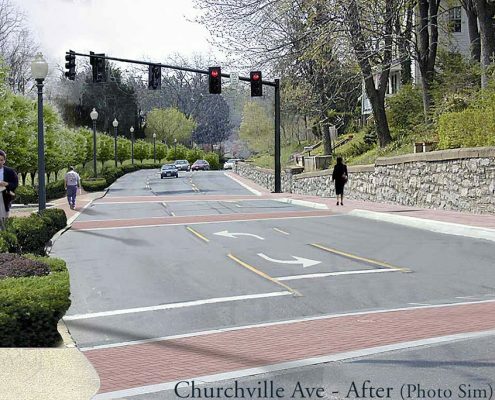 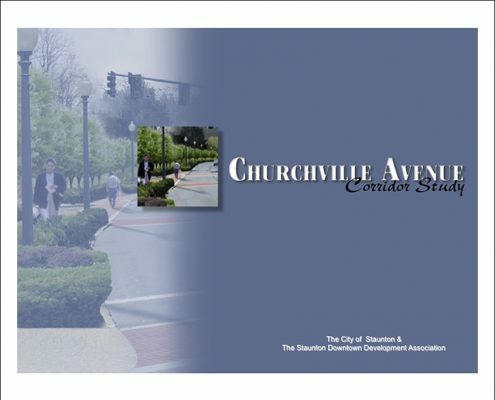 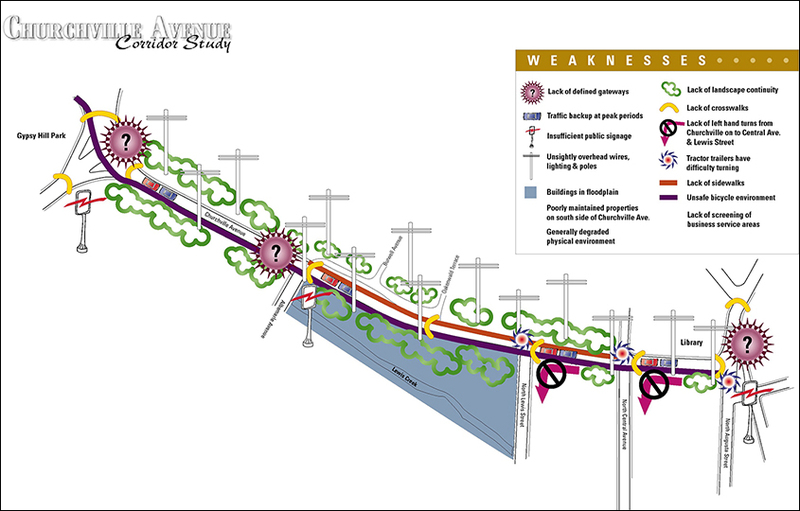 Goals for the plan included: improve traffic flow; build on existing plans and studies; improve pedestrian environment, improve connections between neighborhoods, park, library and downtown; create appealing gateways into downtown; provide opportunities for gifts; insure continuity with streetscape design; preserve historic character; and encourage private sector investment in the area. 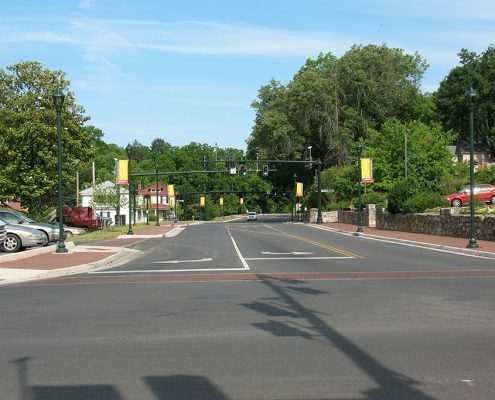 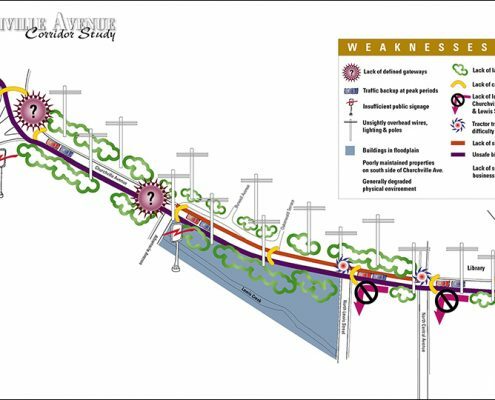 The plan, which also included new turning lanes and traffic lights, was presented to the Virginia Department of Transportation (VDOT) and received approval to proceed. The project was completed in Spring 2011.